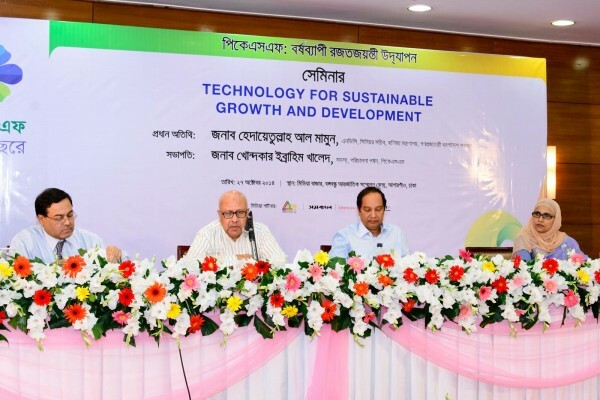 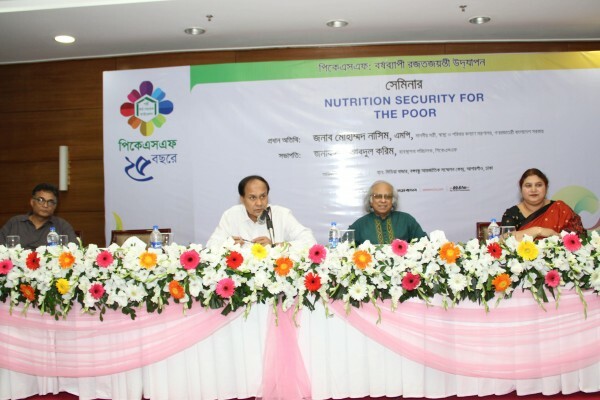 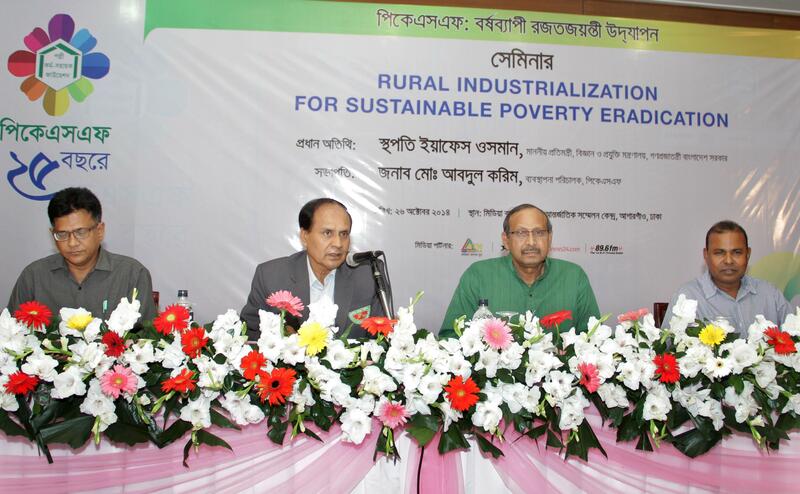 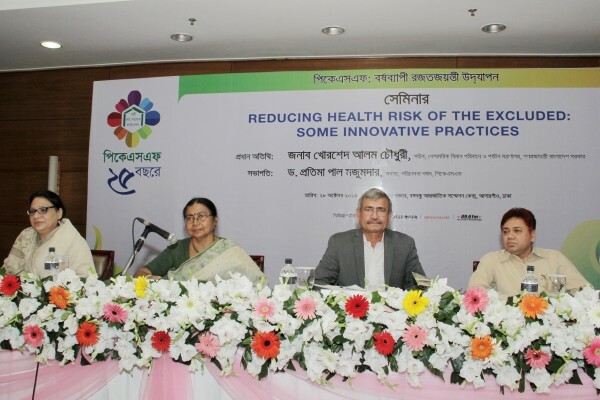 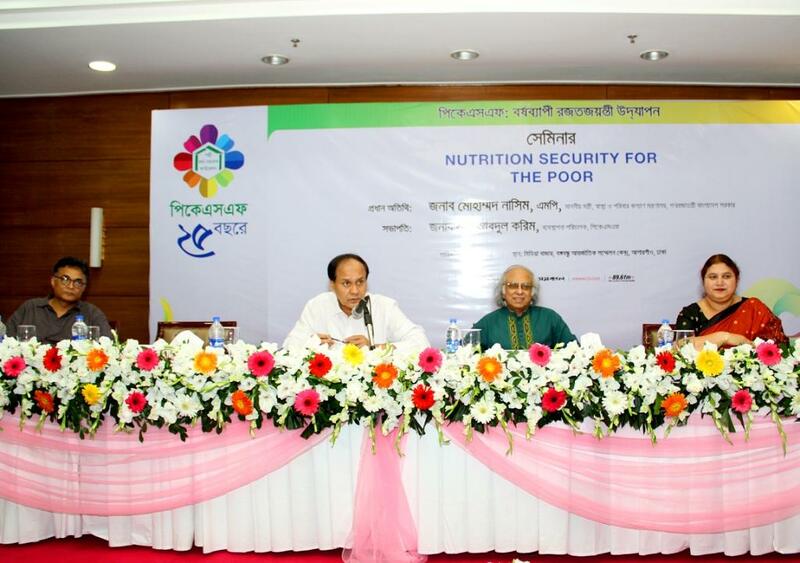 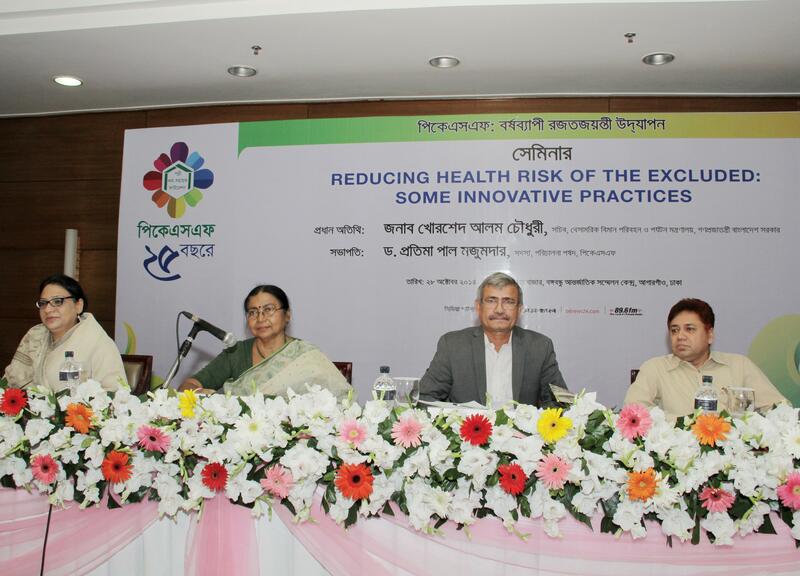 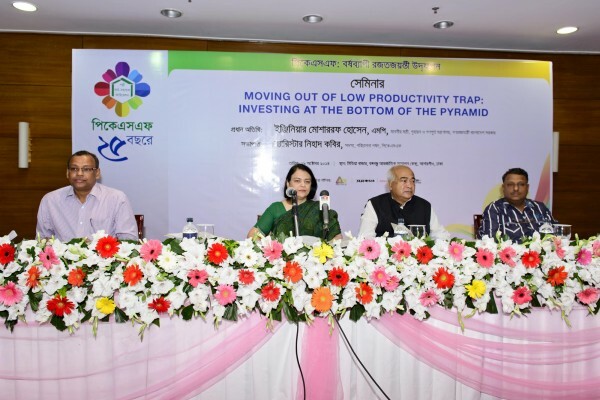 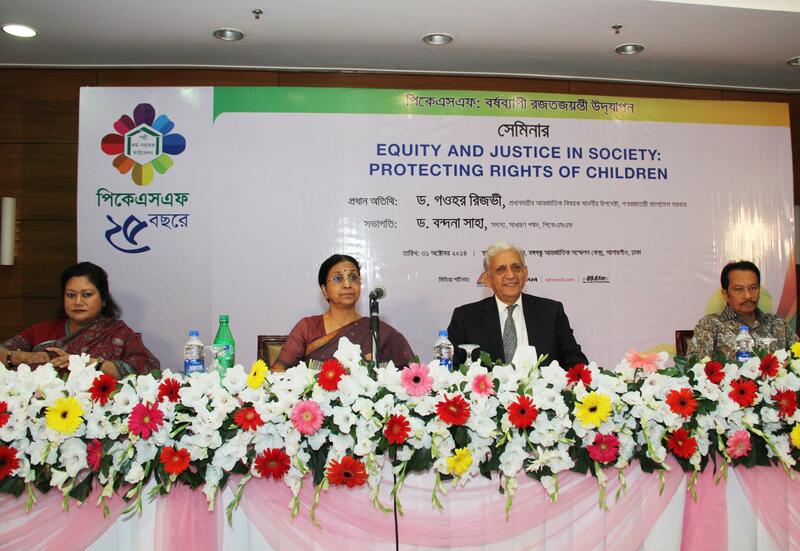 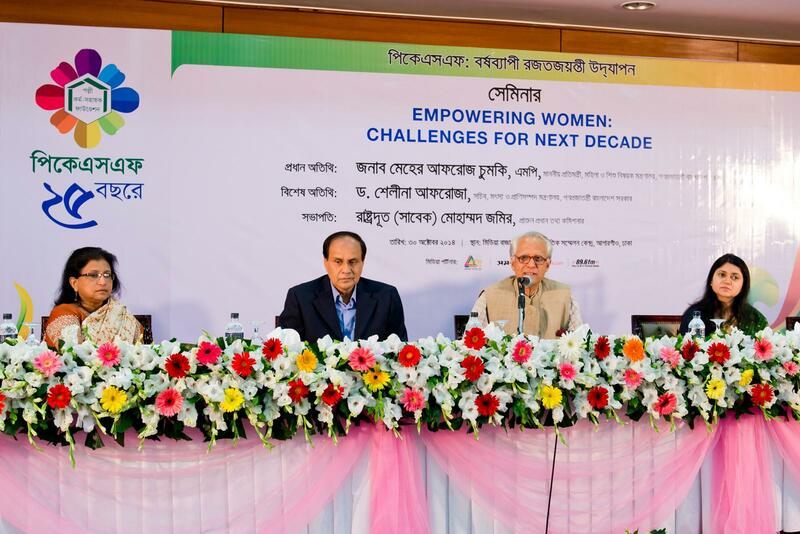 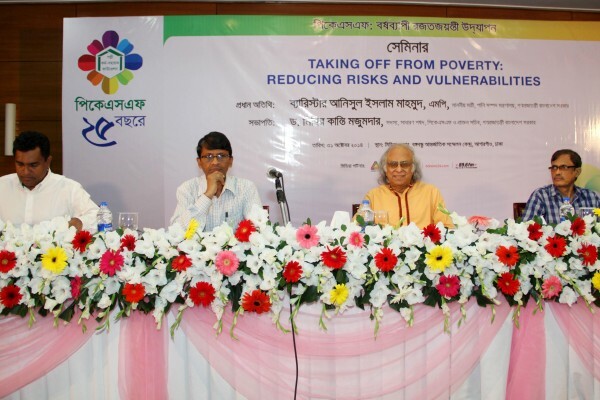 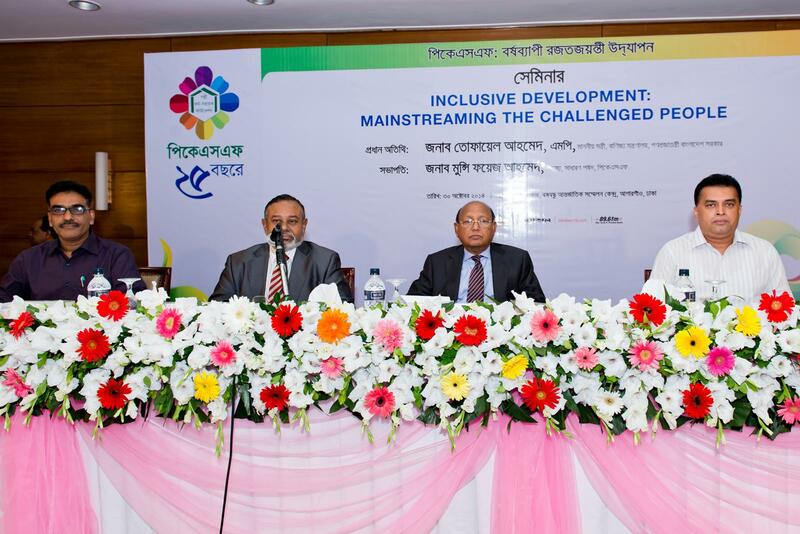 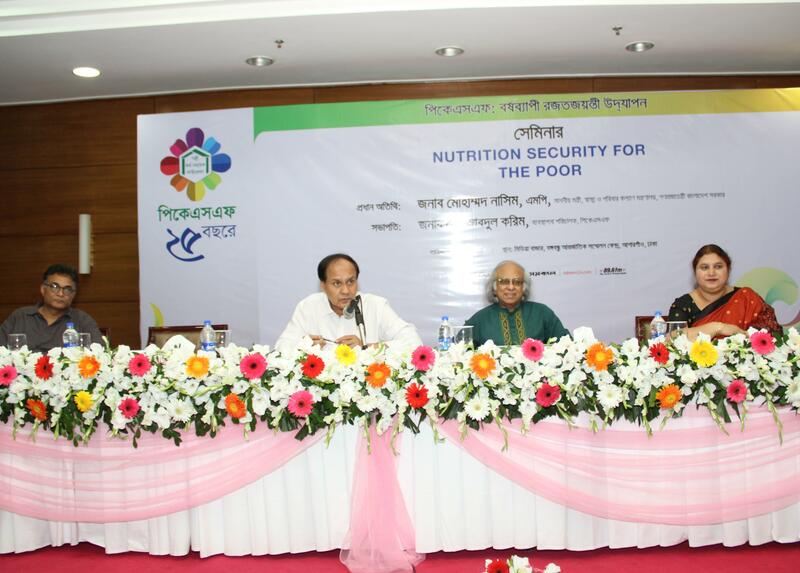 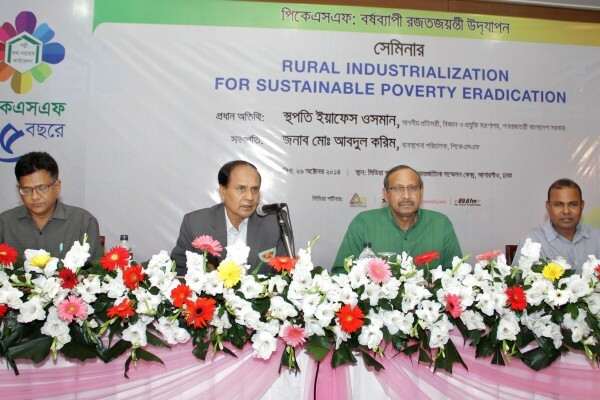 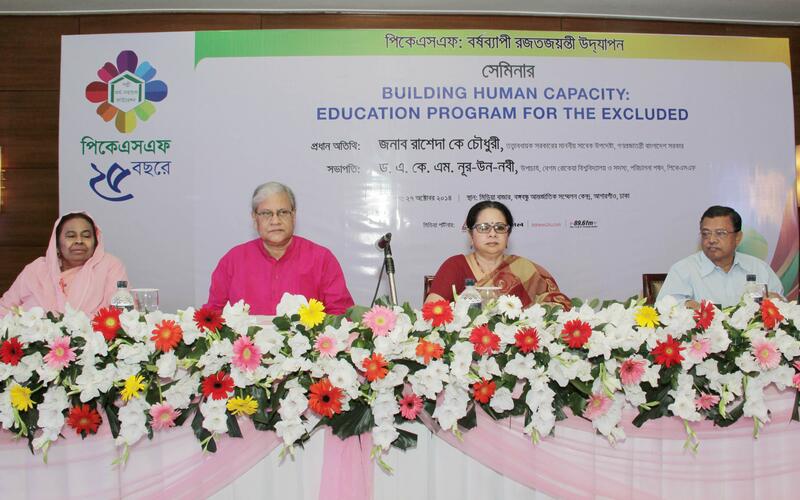 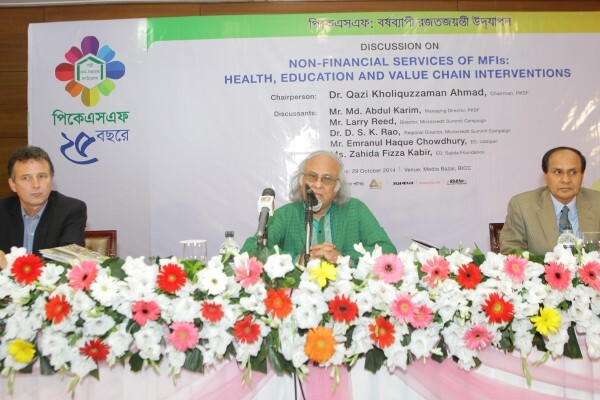 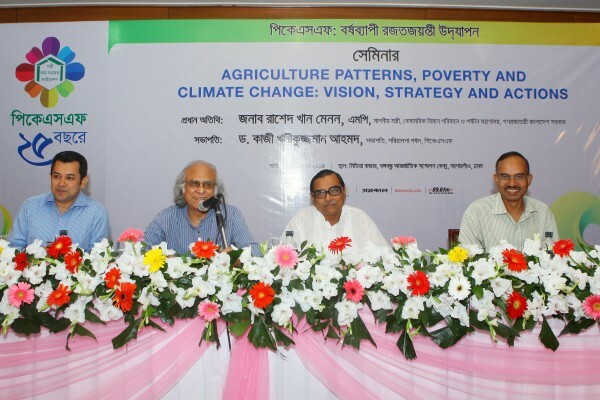 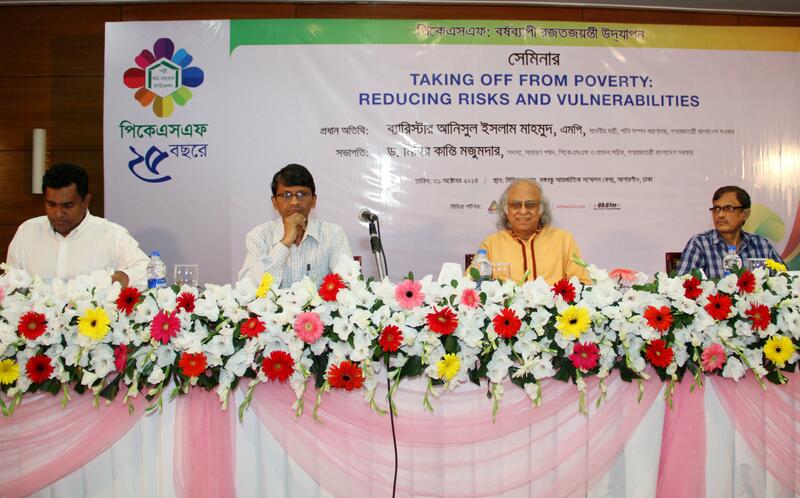 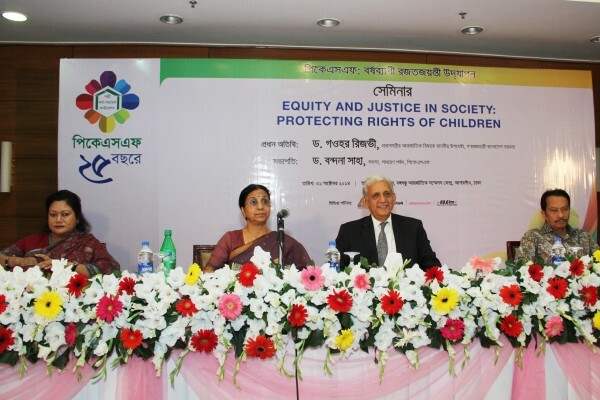 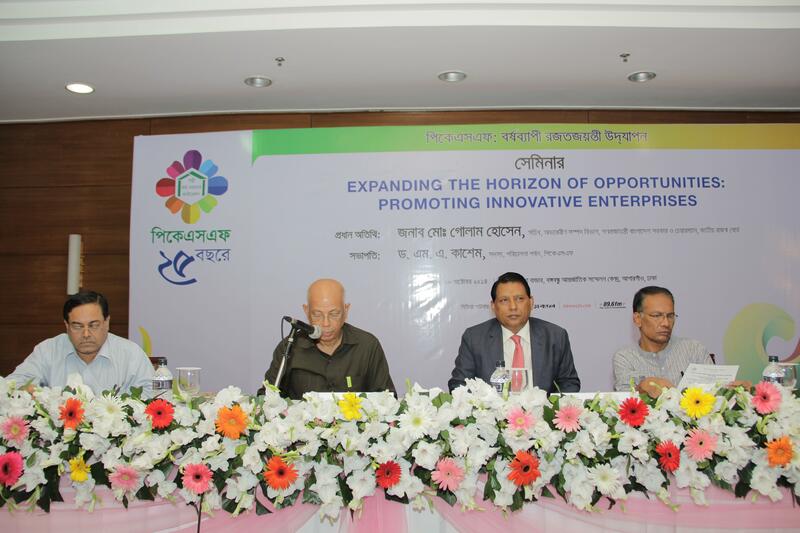 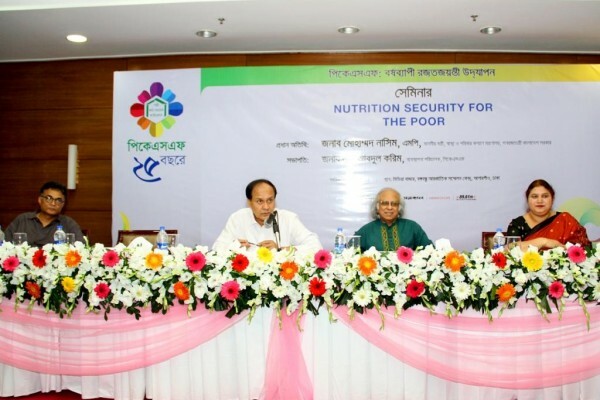 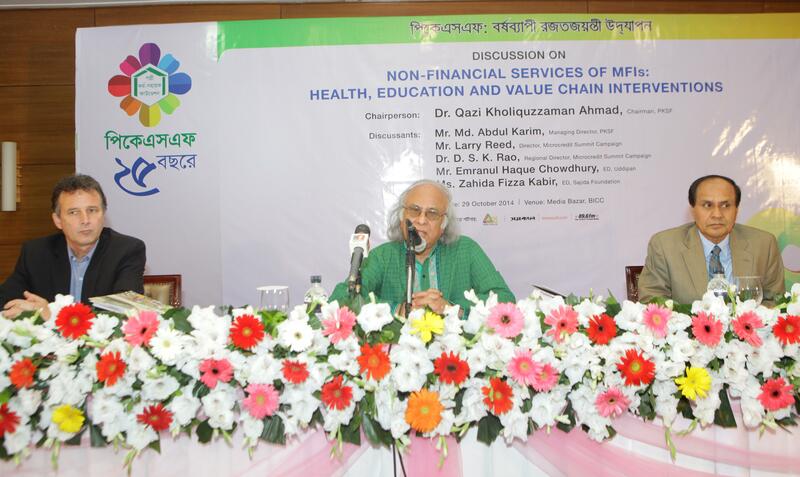 A seven-day-long Development Fair-2014 was held at Bangabandhu International Conference Centre (BICC), Dhaka from 26 October to 01 November 2014 on the occasion of 25th Founding Anniversary of Palli Karma-Sahayak Foundation (PKSF) aiming at promoting poverty alleviation initiatives to lift millions out of poverty. 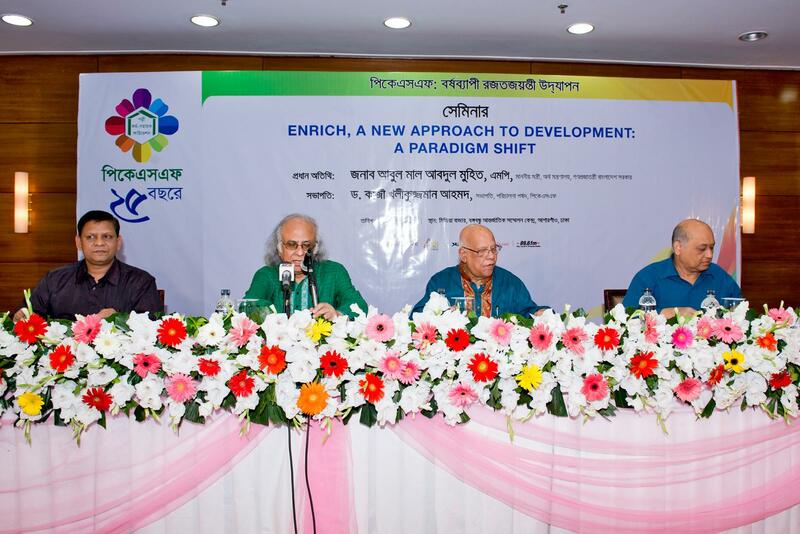 During the fair a total of thirteen seminars and one special discussion session were held in the theme of “Development for Prosperity and Parity: Including the Excluded” where Ministers, Secretaries, economists, researchers, members of civil society and representatives of different non-government organizations were present. Development specialists and discussants from India, Vietnam, Uzbekistan and the USA also participated in the seminars and special discussion. 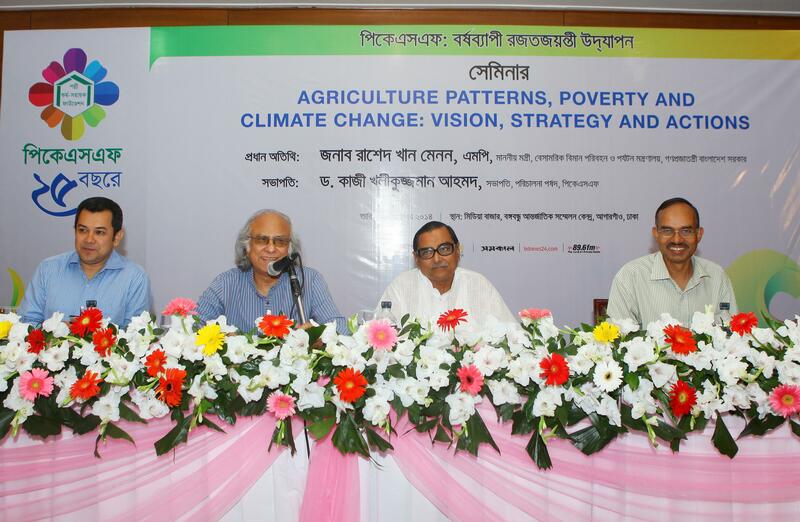 Presentations of keynote speakers of these Seminars are available here.